My concert was awesome! I had mentioned I was a little nervous about it since I don’t often go out on weeknights, but even though I was a bit tired for work on Friday, it was worth it. All of the bands were really good, but Arctic Monkeys were definitely the highlight. I’ve been wanting to see them live since around 2006 and they did not let me down – they were aaaamazing! I’m so glad I went! I spent the rest of my weekend resting since I was pretty tired from going to concerts both Thursday and Friday night, however I did make another trip to the Elephant Cafe. Last weekend, my boyfriend and I made the mistake of ordering a 3 out of 5 on the spicy scale and burned the heck out of our mouths there. This time I ordered a 1 and I absolutely loved my food! I got the ginger curry again and it had excellent flavor – recommended if you live in Milwaukee. I’m SO excited about this post!!! 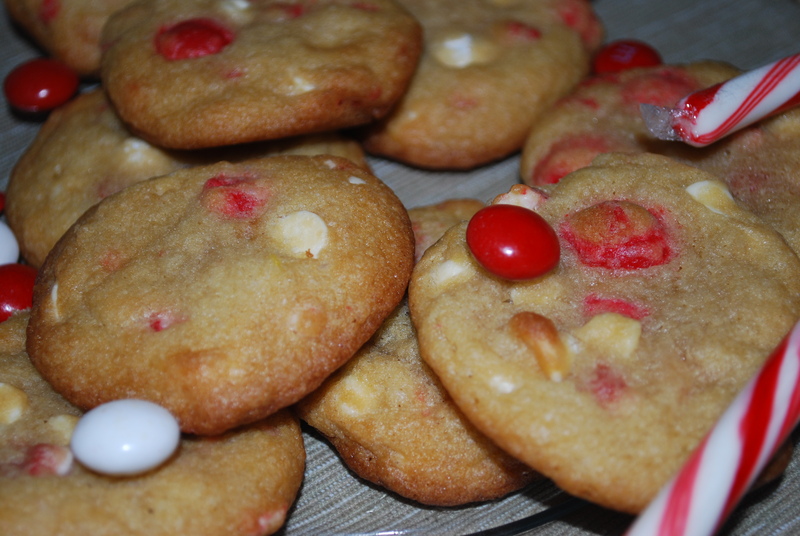 I made the ultimate Christmas cookies and boy are they tasty! 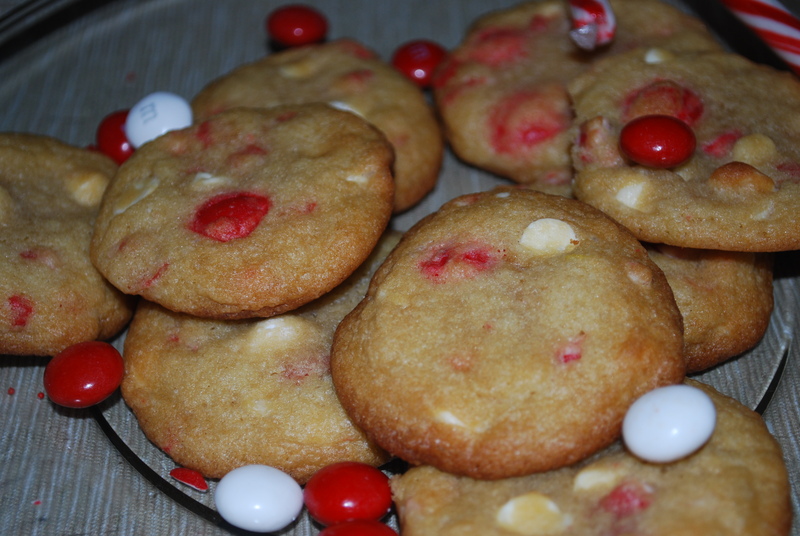 I call them White Chocolate Peppermint Cookies. 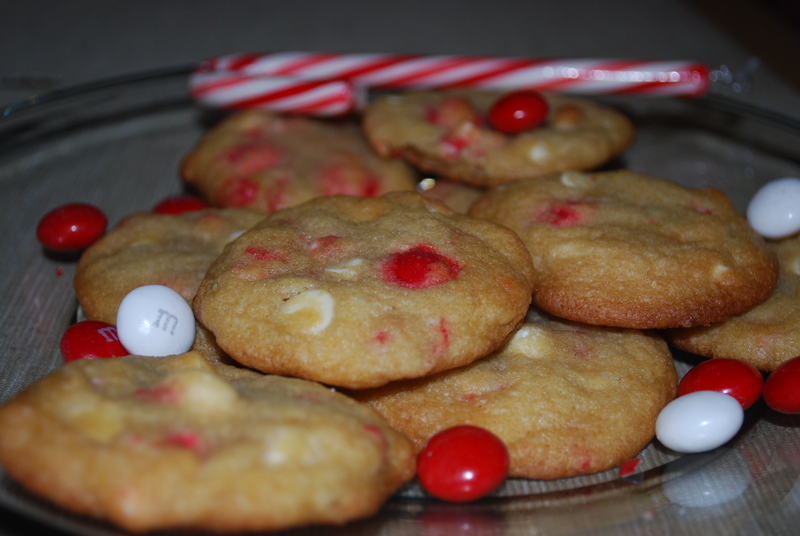 They are based off this recipe by Two Peas and Their Pod which I made some very slight adjustments to. They turned out wonderfully! Crispy on the edges and nice and soft inside. Mmmm. I can’t stop eating them! Preheat your oven to 350 and line your baking sheets with parchment paper. 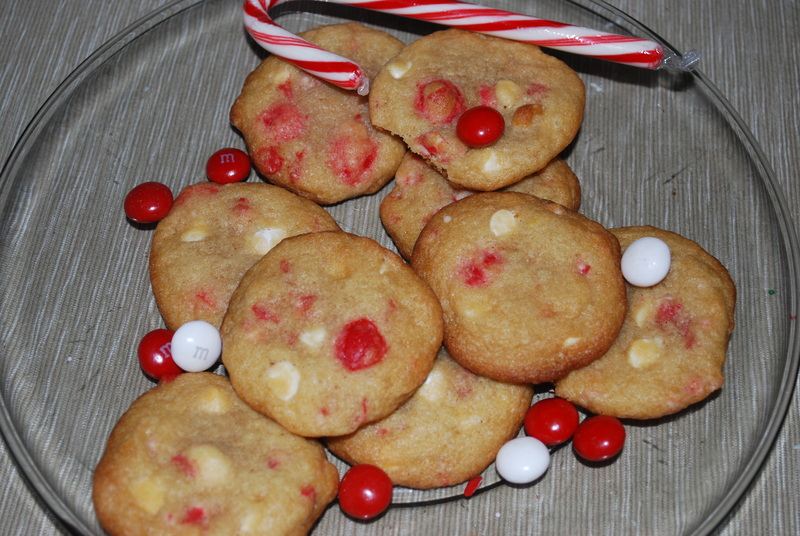 Start the cookies by mixing together 2 1/2 cups all-purpose flour, 1/2 teaspoon salt, and 3/4 teaspoon baking soda in a medium bowl. Set aside. Next cream 1 cup unsalted butter (make sure it’s room temperature!) 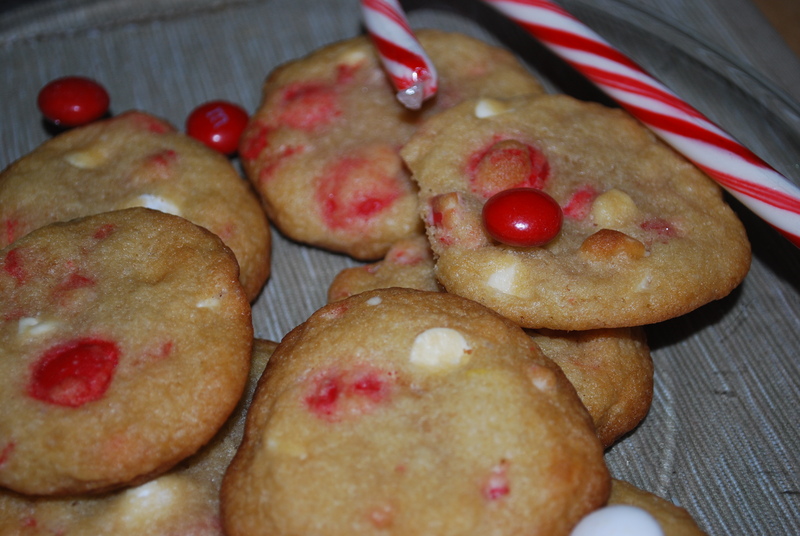 with 1 cup light brown sugar and 1/2 cup granulated sugar. I did this by hand but you can do it with a mixer if you prefer. 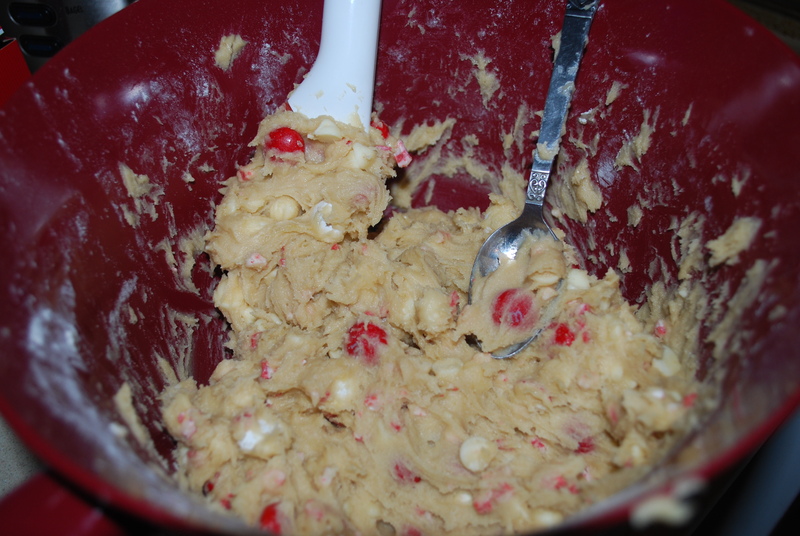 Once it’s light and fluffy, add in 2 large eggs and 1 tablespoon vanilla extract and beat until smooth. 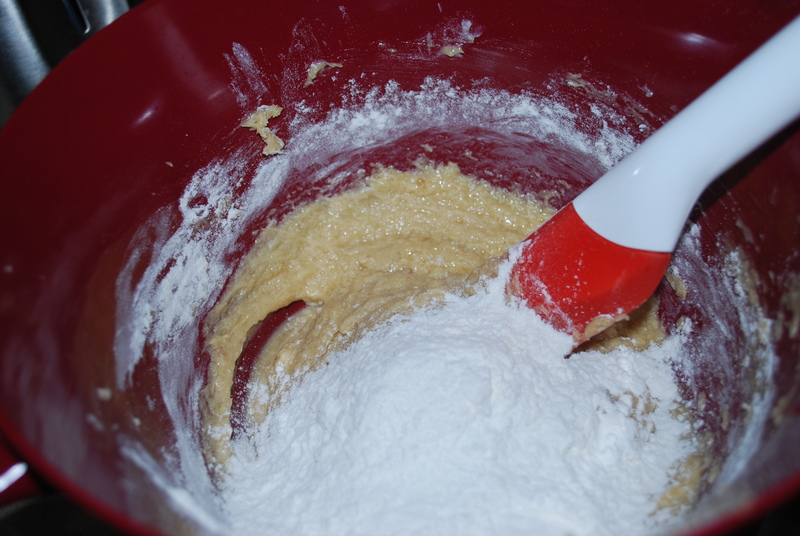 Slowly mix in the dry ingredients little by little until well-combined. 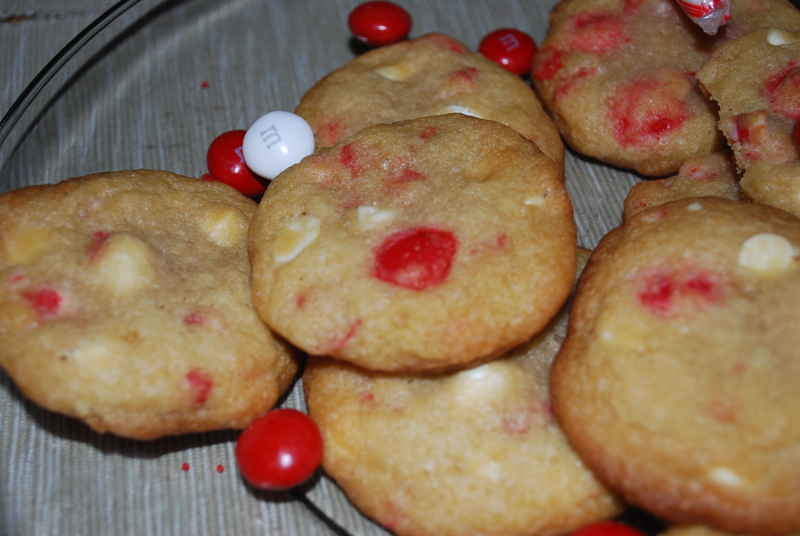 Add in 1 cup white chocolate chips, 1/2 cup peppermint Andes baking chips, and 1 cup White Chocolate Peppermint M&Ms. Mix everything together. Drop heaping tablespoonfuls onto your baking sheets about 2 inches apart (12 per sheet). I have to warn you: they look a bit sticky, but don’t worry about that. They will smooth out as they cook. Bake for 10 minutes or until the edges are golden-brown. 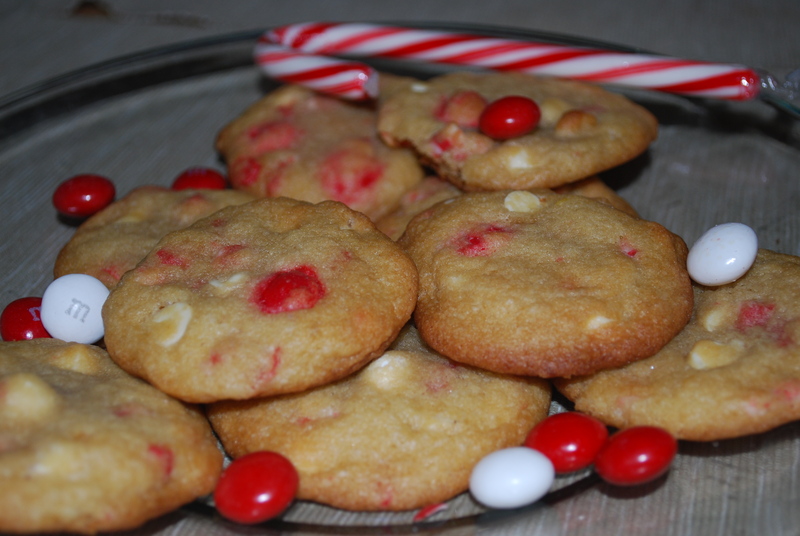 Let the cookies cool on the baking sheet for a couple minutes, then transfer them to a cooling rack. 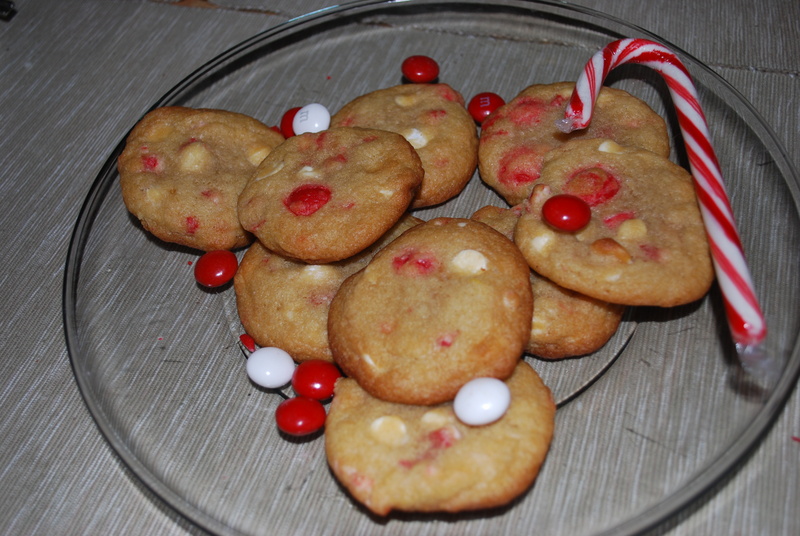 Preheat oven to 350 degrees and prepare baking sheets by lining them with parchment paper. 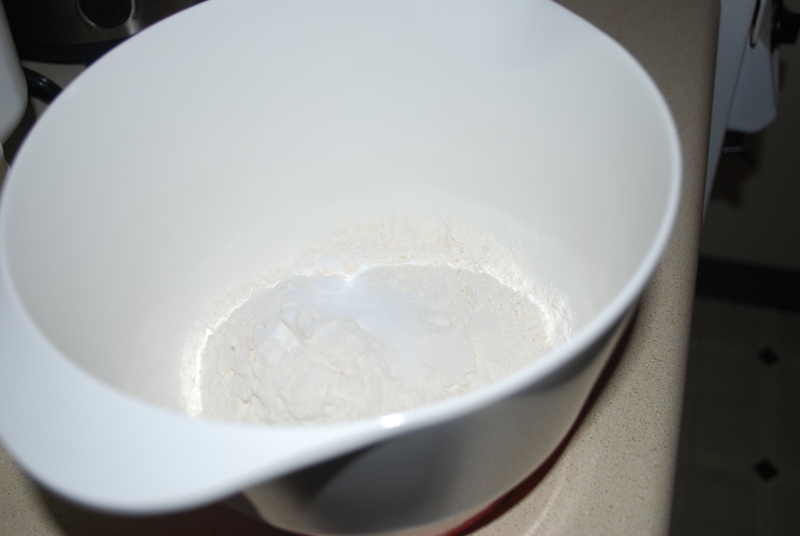 Combine flour, salt, and baking soda then set aside. 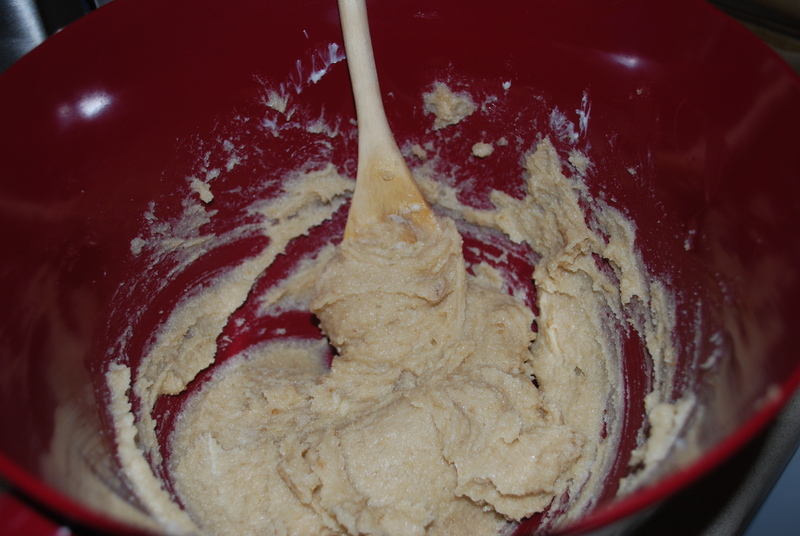 Cream butter and sugars together until mixture is light and fluffy. Add in the eggs and vanilla and beat until smooth. Mix in the dry mixture little by little until well-combined. 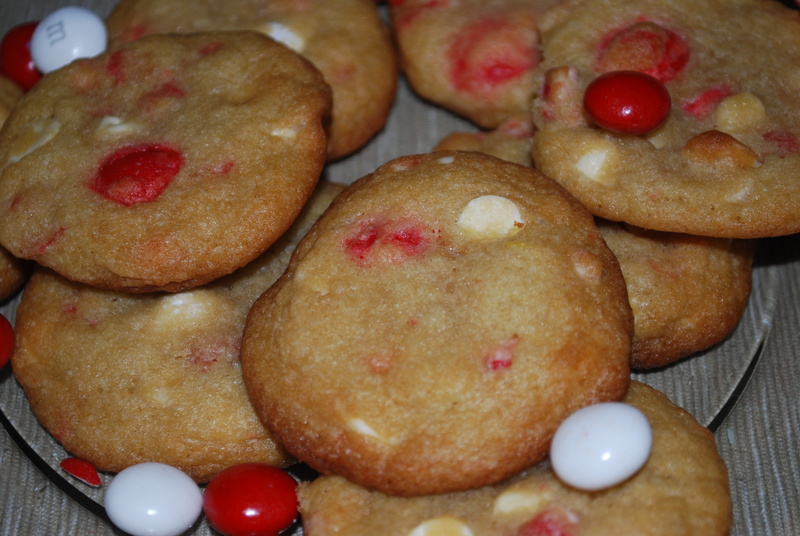 Mix in the white chocolate chips, Andes peppermint baking chips, and White Chocolate Peppermint M&Ms. 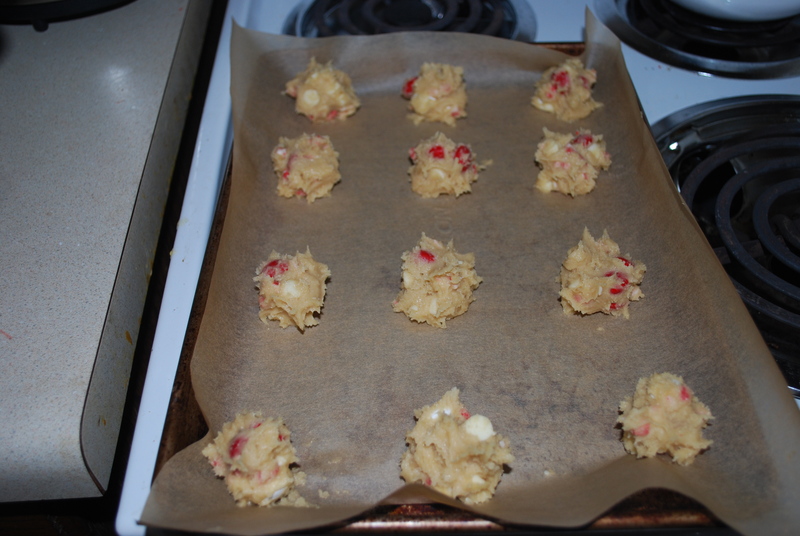 Place large tablespoonfuls of dough onto the baking sheets (12 per sheet). Bake for 10 minutes or until the edges are golden. 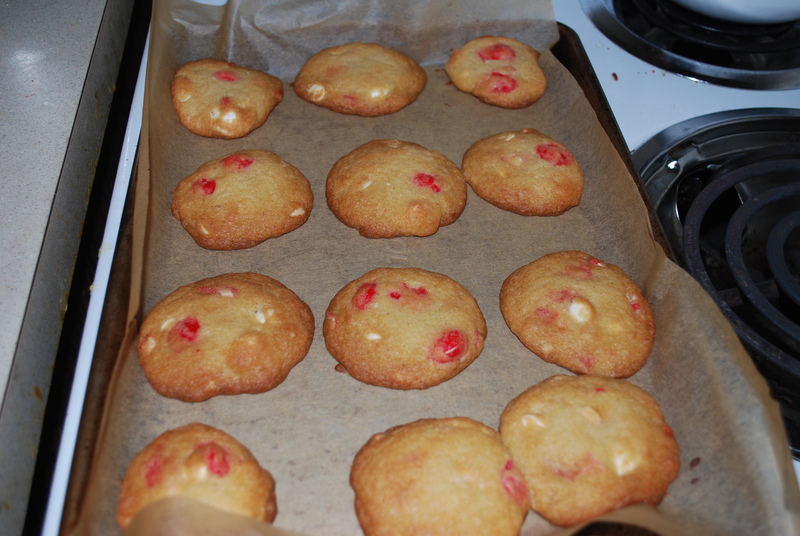 Let the cookies cool for a couple minutes on the baking sheet, then transfer to a wire cooling rack. 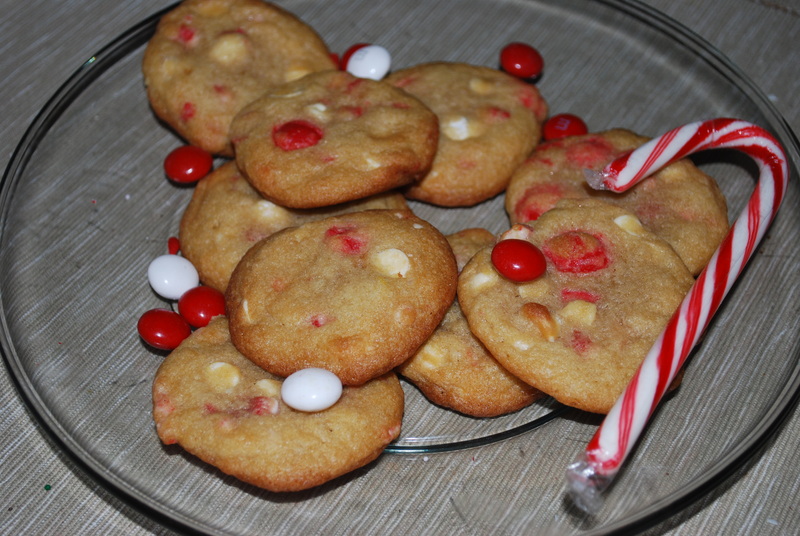 This entry was posted in Christmas, Desserts and tagged cookies, peppermint andes mints, white chocolate chips, white chocolate peppermint cookies, white chocolate peppermint m&ms. Bookmark the permalink.